A hoarse or cracked voice is often a result of strain on the vocal chords from too much talking, shouting or singing. In this case the hoarseness usually clears up quickly by itself. Tension or anxiety can sometimes rob you of your voice. 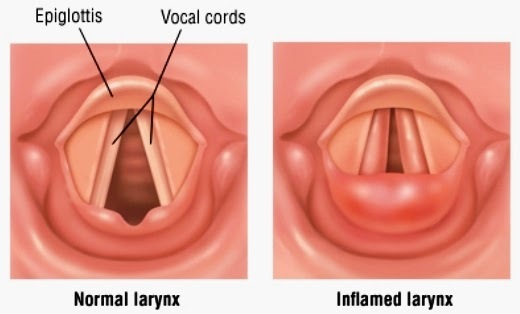 Another regular cause of hoarseness is laryngitis, where the larynx or voice-box becomes inflamed as part of an upper respiratory tract infection (e.g., a sore throat or cold). In young children a croaky voice may be a symptom of croup, which involves inflammation and narrowing of the breathing passages. This is a common side-effect of viral or bacterial infection and is not normally much to worry about. If your voice is consistently hoarse, you should have it checked by a doctor. Smoking, over-consumption of alcohol or mucus from hayfever and sinusitis can all irritate your voice box. Occasionally persistent hoarseness of more than 2 weeks may indicate a more serious problem such as malignancy. Your voice will become rough, husky or broken, making it increasingly difficult to speak. In some cases you may lose your voice completely for a day or two. What Can I Do Immediately To Make My Hoarseness Better? • Rest your voice until it is back to normal. If you have to speak, then whisper. • Do not try to clear your throat. Instead, ease the discomfort with a warm drink (e.g., with honey and lemon). • If your hoarseness is part of a viral infection, try gargling with salt water or soluble aspirin/paracetamol. Throat lozenges or a steam inhalation with menthol may also help. • Do not smoke or drink alcohol if you are recovering from laryngitis. • Stay away from smoky rooms. What Can I Do Generally To Avoid Hoarseness? • Try not to strain your voice. If it is in constant use, voice training may help you. • Do not let your throat dry out if you can feel it tickling. 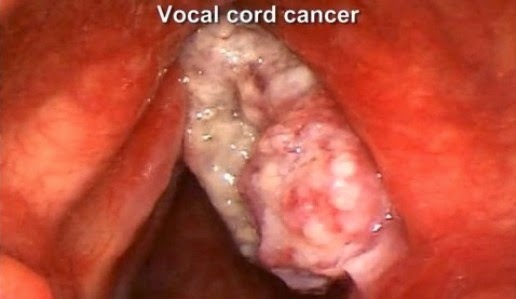 • Smoking or too much alcohol can damage your vocal chords. You can get soluble aspirin and paracetamol at your local pharmacy or supermarket. Always stick to the recommended dose and never give aspirin to a child under 12 years old. Your pharmacist can also advise you on sprays, lozenges and gargles for soothing a sore throat. • If your voice is hoarse for over a week. • If you have been hoarse or have lost your voice several times over the last six months. • If you are also having problems breathing or swallowing. * dry hair or skin. • Give your voice time to recover. • Have a warm drink rather than trying to clear your throat. • Gargle with soluble aspirin/paracetamol or ask your pharmacist about throat lozenges and sprays. • Do not smoke or drink alcohol. • Consult a doctor if the hoarseness does not clear up.